What would you do if you could work remotely (that is, from the couch or the beach) every day of the week? Picking your workplace and managing your own schedule would be a dream, right? This is a reality for some people thanks to the digital revolution. The advancement of technology has made the physical distance from the workplace insignificant, meaning people can work whenever from wherever. Whether self-employed or working for a company, many professionals are taking advantage of the accessibility that new technology provides. Some may choose to simply stay in their pajamas and work from home, while others use the remote opportunity to travel. These adventurers are called digital nomads. What Does it Mean to Be a Digital Nomad? They conduct business from their smartphones and laptops while simultaneously exploring the far corners of the world. This way of life is increasingly enticing to millennials and Gen Xers, because they can pursue their passions without sacrificing their income. No matter their age, it’s essential for digital nomads to manage their finances diligently. Living a nomadic lifestyle makes handling financials and personal insurance more difficult. For example, traveling requires more expenses (such as fares, lodging, and eating out) so budgeting and saving money is crucial. Plus, those with families have to support and protect more than just themselves. Digital nomadism can be a sustainable and fulfilling lifestyle, but only if you save money and think through your financial choices. 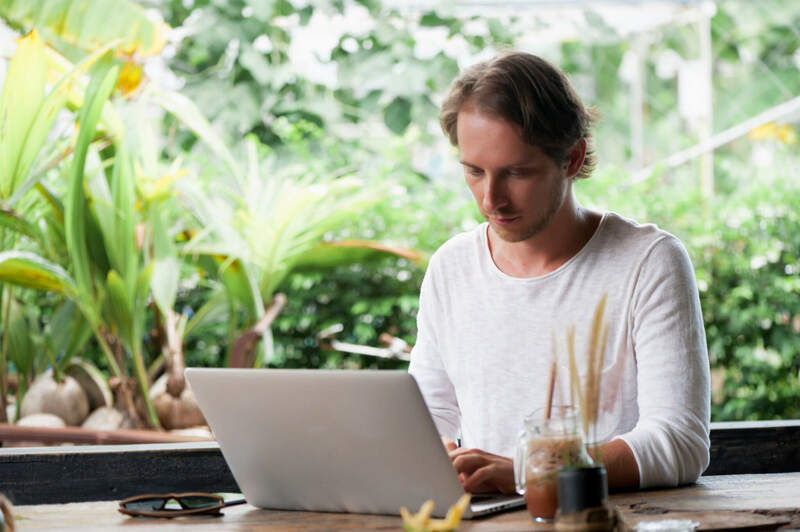 Additionally, digital nomads have to navigate daily complexities that settled workers don’t, including adapting to new cultures, finding the right insurance package, and ensuring that WiFi and cellular service is available. Nevertheless, digital nomads build a cache of experiences and world knowledge that few people have. Maintaining an income while going on countless excursions is possible for anyone, as long as you practice smart personal finance habits. Interested in this free and enlightening lifestyle? The infographic below provides a dissection of digital nomads, including their anatomy and how to become one.